Most airborne laser scanning (ALS) studies have been carried out in semi-natural forests, but some research has also been carried out in plantations. Results indicate that methods similar to those which are used in semi-natural forest are also usable in plantation forestry. The study was conducted in a pulpwood plantation growing Eucalyptus urograndis in Bahia State, Brazil. The aims of this study are to investigate (1) how accurately the plot volume may be estimated by ALS data in eucalyptus plantations and (2) how to estimate the site index directly by combining ALS data and stand age. The plot volume and site index were estimated by means of nonlinear mixed-effect modeling in order to take into account the stand-within-clone hierarchy of the data. The obtained accuracies are quite good if compared to those obtained in semi-natural forests. The root-mean-square error was 8.2% for plot volume and 2.7% for site index when the clone effect was used in prediction. Precision forestry applied in plantations differs in many ways from the forestry practiced in a semi-natural environment. 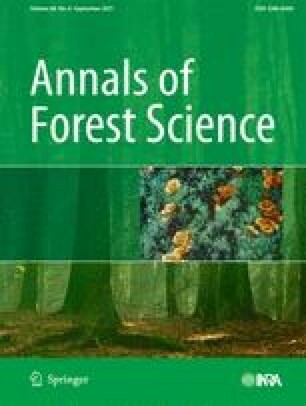 ALS-based forest inventory methods have a great deal of potential in pulpwood plantations when the unique features of plantation forestry are taken into account.